Trade, Camper vans and VIP's: Will be directed to the parking in and around the Leisure Centre and School. You must provide indentification is asked for. NOTE All camper vans staying overnight MUST book in advance. and provide the following information. Competitor day parking: Lower Field accessed off the Old Hereford Road. Club members & Volunteers: Lower Field accessed off the Old Hereford Road. 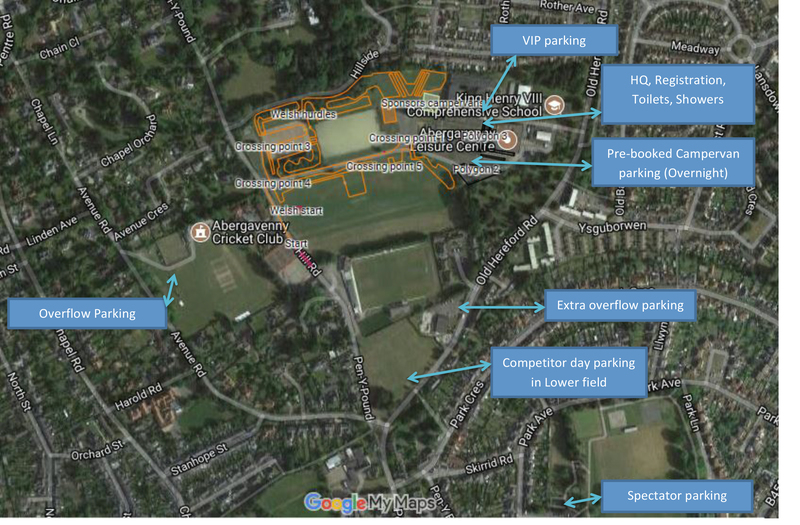 Spectator Parking: Bailey Park car park (pay and display Saturday, Free on Sunday) 10min walk from the venue. Please do not park in adjacent streets.